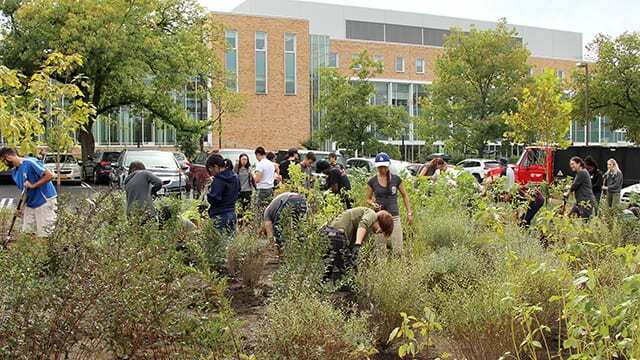 On October 5th, 2018, Nina Bassuk led a tour of the new Sustainable Landscapes Trail on the Cornell campus after an opening ceremony in which, instead of ribbon-cutting, officials celebrated with a “downpour” of water onto the permeable asphalt of the Peterson parking lot, which is underlain by CU-Structural Soil and also features a large bioswale. A number of the 20 sites along the Trail are associated with the Urban Horticulture Institute/Nina Bassuk, including chinkapin oaks (Quercus muehlenbergii) in CU Soil outside Stocking Hall, goldenrain trees (Koelreuteria paniculata) and silver lindens (Tilia tomentosa) in CU Soil outside Weill Hall, the Tower Road Bioswale, the Ag Quad Biodetention Basins, and the Mann Library Entrance SITES Accredited Garden. Many of these projects involved Nina Bassuk and Peter Trowbridge “Creating the Urban Eden” students in their implementation. For instance, the creation of the Rice Hall Bioswale involved students using the research-based “Scoop and Dump” technique described here. For nearly 15 years, Nina Bassuk and her grad students at the Cornell Urban Horticulture Institute (UHI) have been developing hybrid oaks for exceptional tolerance of urban conditions (drought, alkaline soil, etc.) Bassuk now has 230 hybrid oaks of 2-3 inch caliper in her research fields. “I’d be happy for villages and cities in NY to plant them out so I can continue to evaluate them over time,” she says. She is offering them to municipalities of any size in April of 2019. The cost would be $50 per tree to cover the B&B process. Communities could arrange for transportation or pick the trees up themselves. Bassuk says it would be preferable to have at least five trees go to any one community so she can efficiently evaluate them around the state. If your community would like to plant at least five of these unique, new oak hybrids, please contact Nina Bassuk at nlb2@cornell.edu. Read on for more background about this fascinating research. Cornell Urban Horticulture Institute Director Nina Bassuk and Dept of Horticulture Post-doctoral Associate Fred Cowett recently published a paper called “Street Tree Diversity in Three Northeastern U.S. States” in Arboriculture & Urban Forestry, the scientific journal of the International Society of Arboriculture. What follows is the abstract, and the full paper is here. Abstract. 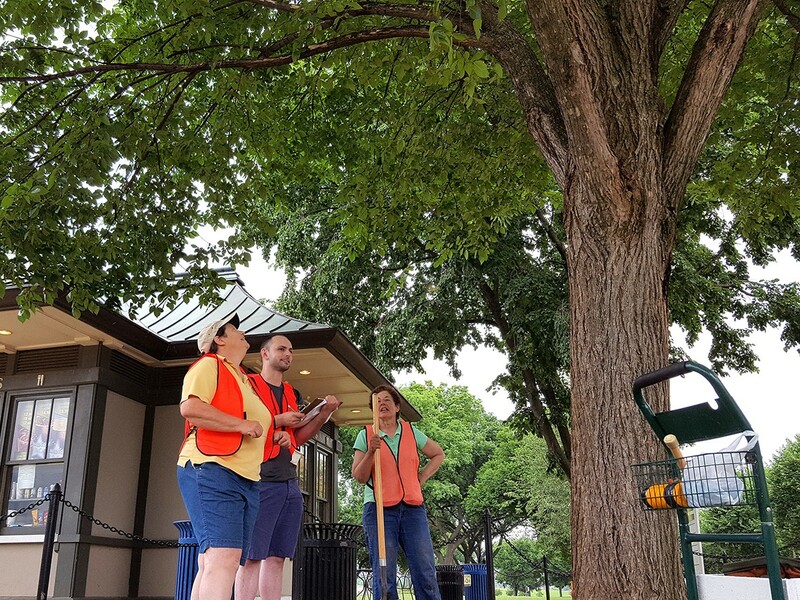 Street tree diversity is widely viewed as a key component in the resilience of street tree populations to pests, diseases, and climate change. Assessment of street tree diversity is considered integral to sustainable street tree management and preservation of the ecosystem services and social benefits that street trees provide. This paper assesses street tree diversity in three northeastern U.S. states— New Jersey, New York, and Pennsylvania—by analyzing municipal street tree inventory data stratified by the 2012 USDA Plant Hardiness Zones. Despite the lesson learned from the historical devastation of overplanted American elms (Ulmus americana) by Dutch elm disease, and awareness of the contemporary threats posed to ashes (Fraxinus spp.) by the emerald ash borer (Agrilus planipennis) and to maples (Acer spp. ), and other tree genera by the Asian longhorned beetle (Anoplophora glabripennis), results presented here indicate a current concentration of street trees among a relatively small number of species and genera, and in particular the dominance of maples as street trees. Results also show a positive relationship between street tree diversity and warmer average minimum winter temperatures. 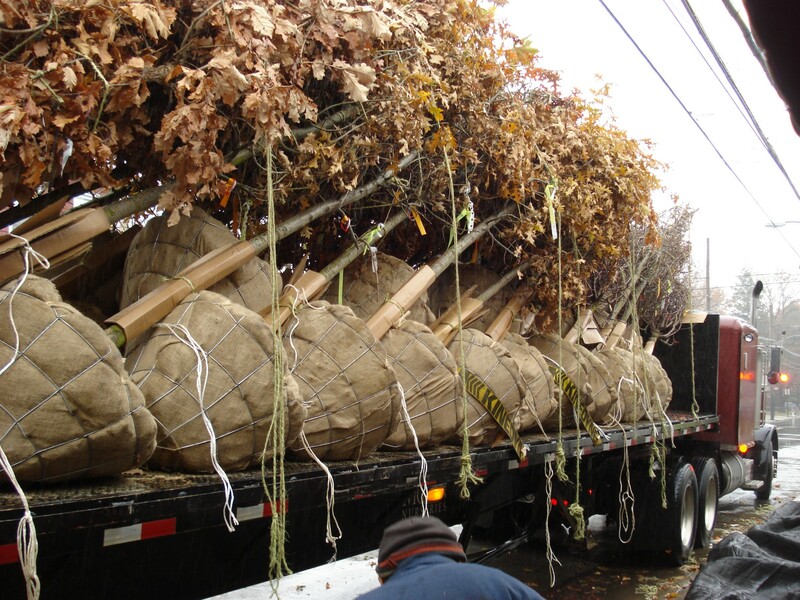 Consequently, there is a clear need in all three states for greater species and genus diversity in statewide and municipal street tree populations. However, meaningful impediments exist to increasing street tree diversity, especially in the short term.